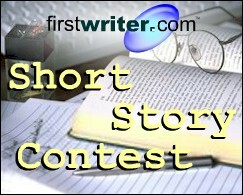 The deadline for firstwriter.com's Eleventh International Short Story Contest has been delayed by one month to May 1, 2015, to allow for last minute entries. The winner of the competition will receive a cash prize of £200, or the equivalent in your currency (that's around $300). Not only that, but there will also be ten special commendations awarded. All eleven winners will be published in firstwriter.magazine and receive firstwriter.com vouchers worth $36 / £24 / EUR36. These vouchers are enough to cover the cost of creating an annual subscription to firstwriter.com, allowing access to our daily updated databases of over 100 writing competitions, over 850 literary agencies, over 1,700 book publishers, and over 1,900 magazines – as well as the option to receive daily alerts by email of new and updated listings which match your interests. The Ottawa Object is a new print literary journal publishing short fiction. It has a special interest in speculative fiction, but will also print literary fiction, as long as it intrigues the reader. The magazine will be published twice a year. Short stories are sought that look deeply into human yearning, especially at the extremes. Examples given on the magazine's website include: What fills us when we float through emptiness? What happens when Pavlov mixes his stimuli? What happens when you let go of something you’ve held all your life? What is at the heart of darkness? The 2015 Wasafiri New Writing Prize is looking for submissions in three categories: Poetry, Fiction and Life Writing. The prize in each category is £300 and publication in Wasafiri Magazine. The competition is open to anyone worldwide who has not published a complete book in their chosen category. Entries for Fiction and Life Writing should be no longer than 3,000 words, and Poetry submissions should comprise of no more than five poems. The deadline for entries is Friday July 24, 2015. Star 82 Review is an art and lit online and print magazine looking for original unpublished work and lyrical language featuring humanity, humility and humour. The magazine is looking for 20–1,000 words of poetry, fiction, or creative nonfiction; or photos or images that have been created to tell a story. Combinations of art and writing (erasure texts, tiny stories with photo, etc.) are also welcome. The magazine is currently seeking work for the Summer / June Issue 3.2. Optional prompts for this issue are your interpretations of: targets; aim; seeds; embarking; circles; lines; germination; beginnings; and correspondence. The BIG LIT Weekend takes place April 16–19 at the Dumfries and Galloway Arts Festival. Chrys Salt, who convenes BIG LIT: The Stewartry Book Festival, is asking for short poems of any kind (published or unpublished) to be sent to her in Palatino 12 point. The poems will be displayed in the windows of the small town of Gatehouse of Fleet during the festival. WordPeace is a new quarterly online journal of literary response to world events, in the spirit of promoting peace and hope for all people. The magazine is looking for articles, interviews, fiction and poetry (or mixed media) to publish which reflect this aim. It seeks work that asks for positive change; that critiques the status quo; that is forward thinking; that is in the face of corruption and greed, brutality, genocide, oligarchy; and that is taking a stand. WriterAdvice seeks flash fiction, memoir, and creative nonfiction running 750 words or less. Finalists receive responses from all judges. First Prize is $200; Second Prize is $100; Third Prize is $50; Honorable Mentions will also be published. The deadline for entries is April 21, 2015. Postcard Poems and Prose is an online zine publishing prose, poems, and art, in a 4×6 postcard format. It accepts and publishes 15–17 pieces of poetry and prose each month. The magazine is seeking poetry, in any genre, that is 20 lines or fewer, along with tightly-written microfiction. There are only a handful of days left to submit to the Able Muse Poetry Book Award for 2015, before it closes on March 31. On offer is the chance to win $1,000 and have your book published by Able Muse Press. Simply submit a poetry manuscript between 50 and 120 pages for your chance to win. Online entry is available.